Taking a 119-day culturally-awakening cruise sure sounds like a dream come true, but going on a half-a-year vacation isn’t a reality for the average traveler… until now. 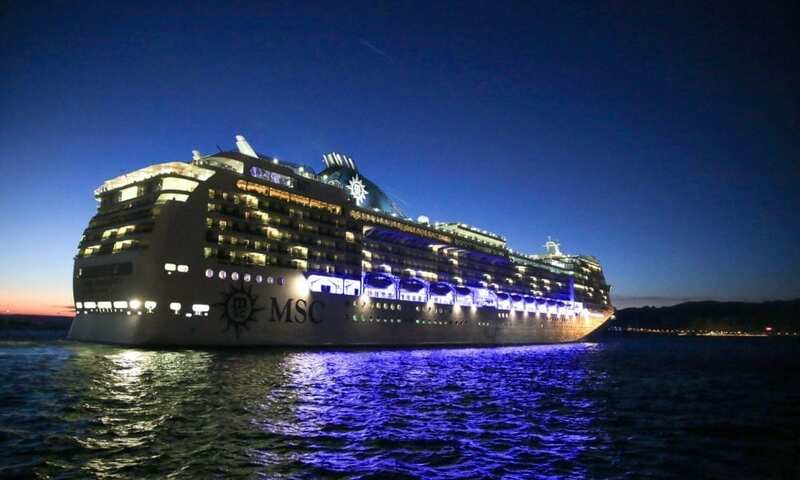 MSC Cruises has enlisted a team of global influencers who will be embarking on different parts of the MSC Magnifica’s world cruise — taking followers along with them on excursions, culinary adventures, and interactions with the port locals, among other things. MSC Magnifica leaving Marseilles en route to Barcelona for her world cruise. Courtesy of MSC Cruises. Passengers waved farewell from Barcelona, Spain today as they embarked on their extended journey. The ship will be traveling to six continents, 49 ports, 32 countries and 24 different time zones. This sailing also boasts an average in-port time of 13 hours a day, allowing a significant amount of time to soak in the local culture of each destination. World cruises have been a popular option for those who have the time — not to mention the adventurous spirit — to take them on. Along with Magnifica, other ships making their “around the world in 80 days” style trips include Crystal Serenity out of Los Angeles, Holland America’s Amsterdam out of Fort Lauderdale and Oceania’s Insignia out of New York among others. Each of the nine influencers involved in this project will be exploring a different segment of the cruise. They will not only be delving into the local culture of each port by sharing the stories of locals they interact with, but provide a behind-the-scenes look at the crew members who make this sailing possible. And getting to everyone’s favorite part of a cruise — the cuisine — Magnifica will have several Michelin-starred chefs on board, creating internationally-inspired dishes themed for the itinerary. There will be 237 different menus to look out for on the entire cruise. Ayumu Yamashita from Japan will be bringing viewers along with him on his MSC Magnifica travels. Courtesy of MSC Cruises. Could you see yourself embarking on a world-cruise in the future?